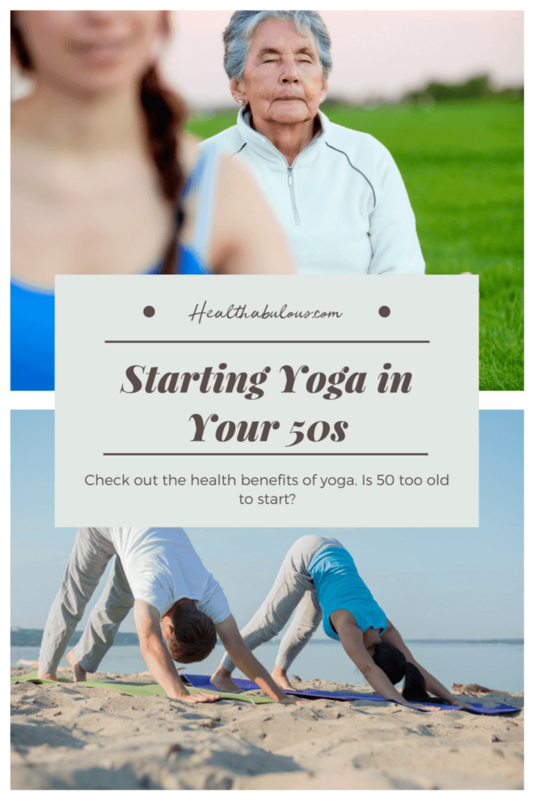 / Starting Yoga in your 50s – Is 50 Too Old to Start Yoga? People fear aging badly. We all fear not being able to move easily and to enjoy activities. Even if you have not exercised for years, there are some activities you can start in your 50s. Have you thought about starting yoga in your 50s? 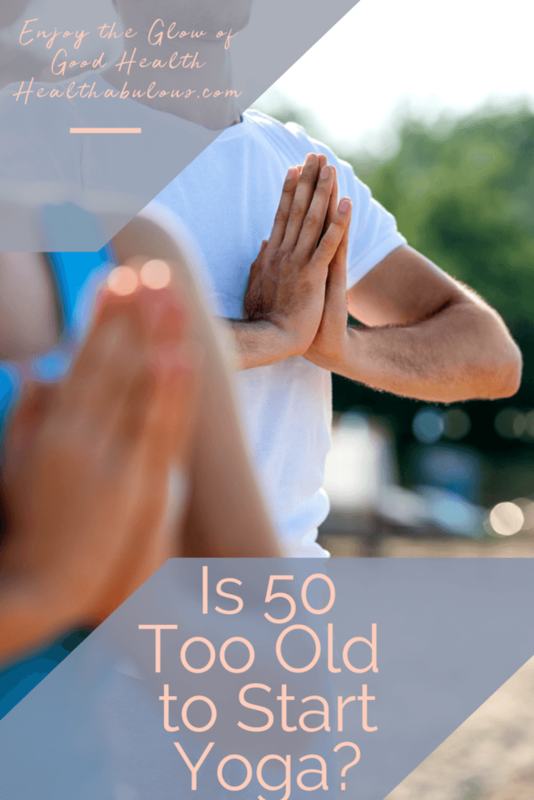 Is 50 too old to start yoga? There are increasing numbers of middle-aged people who are discovering the benefits of yoga so are you thinking of starting yoga at 50? Is yoga good to start later in life? Yoga is a great calisthenic exercise that can be practiced by everyone. There are great benefits to yoga that are being scientifically proved. Performing yoga will improve your mental and physical health, you will have fun, meet new people, and generally improve your life. With yoga’s extreme popularity, it means that it’s more accessible than ever, with many gyms offering a wide variety of cheap yoga classes for people of all levels of ability. This makes it a great exercise for people over fifty. I had never really taken to yoga when I was younger. I could not see the appeal. But as I got older, I became more interested in yoga. Not just the physical activity, but the additional benefits. There are many, many varieties of yoga. The different types focus on different aspects. Some focus on meditation, others help to build physical strength, others develop endurance, others increase flexibility, and yet others help in losing weight. All yoga will help you to de-stress, get stronger, become more flexible, lose weight, and increase endurance, of course. But different types of yoga make different goals a priority. Today we will explore how these types of yoga will benefit you. Yin or restorative yoga classes are good for improving your sleep. Some are even done under candlelight. If you’re looking to build up your flexibility, Yin Yoga is also a great choice for you. In Yin Yoga poses are held for several minutes at a time, encouraging your tendons to stretch, building up their elasticity. If you suffer from joint problems, this yoga style may not be right for you. But if your joints are strong and you need to get more flexible, then it might be perfect. Some Yin Yoga classes focus on meditation, whilst others allow chatting, so feel free to check which type yours is! Vinyasa Flow classes are energetic and link poses together. If you want to build strength and endurance, try out Vinyasa Yoga. Vinyasa is not for the faint of heart, but if you’re already confident with your yoga, or if you practice aerobic activities regularly, you might find it’s more your style. You take challenging poses that change quickly, building your muscles and working up a sweat. Sometimes this is done to the tune of pumping gym music. This type of yoga is enjoyed by Indian Bodybuilders, so you know what you’re getting into. This is a precise type of yoga where you hold poses for as much as 20 breaths. This style focuses on alignment and detail of the posture and is great for beginners. For people with previous injuries, Iyengar Yoga is especially forgiving. In Iyengar Yoga you are encouraged to learn about your body and treat it gently and carefully. You are given a wide range of props, so there is reduced risk of falling, or of damaging an old injury. You hold each pose for a while, but they’re so gentle it should not be too much of a problem. Be sure to talk to your doctor about it first, but if you have physical ailments, this might be the yoga for you. If you are a beginner and thinking of starting yoga in your 50s, Hatha Yoga is probably the best place to start as it is great for beginners. Classes start off at a slower pace and the instructor will go through the basics with you. You can take your time to get into poses and hold them for as long as you are comfortable. The instructors don’t expect you to know much at the start, and they will go through the basics nearly every class. This relaxed approach is also great for people with physical ailments or with deteriorating memory, so you might find that even after a few months or years you want to stay with your class. If you are keen to start or carry on with some meditation, Kundalini Yoga focuses strongly on the meditation aspects of yoga. If your bigger challenges are feeling stressed and worrying about everyday problems, this type of yoga will help you to work through your thoughts and emotions, leaving you refreshed. This is because it combines exercise with chanting, breath work, and meditation for a very mental workout. Bikram Yoga and Hot Yoga are certainly for people looking for a challenge but are also great for weight loss. You combine yoga with a hot, steamy room which will keep you sweating and working all through the session. The sessions are also usually quite long. If your health isn’t too good, these types of yoga might be too much for you. However, if you’re generally very fit they might be just the challenge you need. Bikram focuses on the same routine each lesson, making it simpler, but Hot Yoga is fun for people who don’t like the constraints of routine. So if you are thinking of starting yoga in your 50s, this is our selection of some of the yoga types. 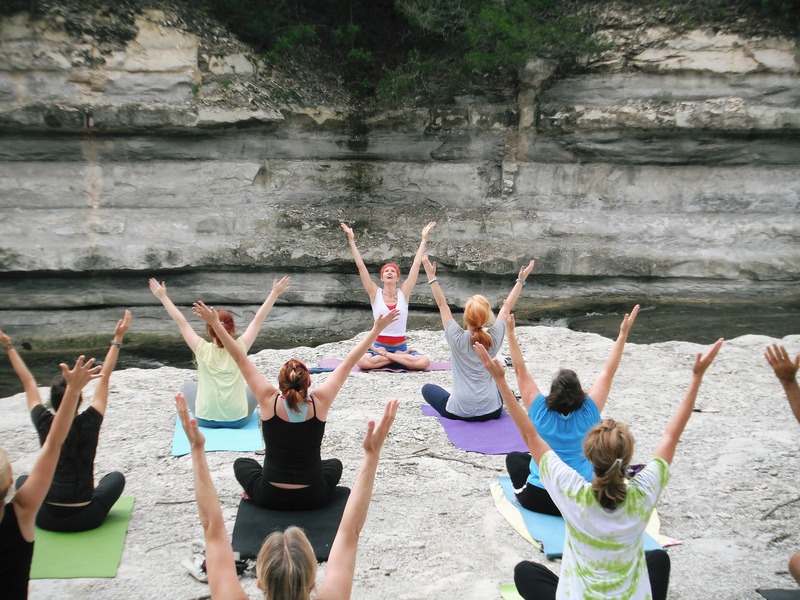 Fortunately, there is a huge variety of yoga options, catering to all sorts of requirements. So whether you’re a frequenter of the gym or a total beginner, it is worth starting yoga in your 50s. Starting yoga in your 50s – What are the Benefits of Yoga? Watch the video here.